I’m obsessed with this product! As i was searching for a toner that has 0% alcohol, i searched the best toner on youtube and i came to see several videos having this Son&Park Beauty Water on their list! So i went to buy one and it really does it job! It also keeps my skin moisturize and clean. This is definitely a must have! This product is really nice. It can really remove dirt coz even if I washed my face I can still see some dirt when applying this product. I already finish one bottle and planning to buy another one. 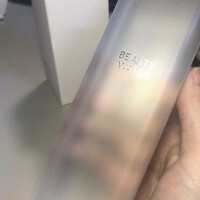 I like it because it's really feels like water when applied to my very sensitive skin. No scent also so this is very good.